Each letter, F, O, R, and D have the correct mounting pins like the original. They are cast like the originals and carefully deburred. Actually better quality than the originals. 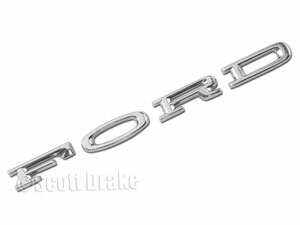 Another super quality product from Scott Drake Mustang Parts.